Hawk eye view of the reading table - snapshot of a video session. Intuitive Readings are one-on-one video or phone sessions with Amber Moon. 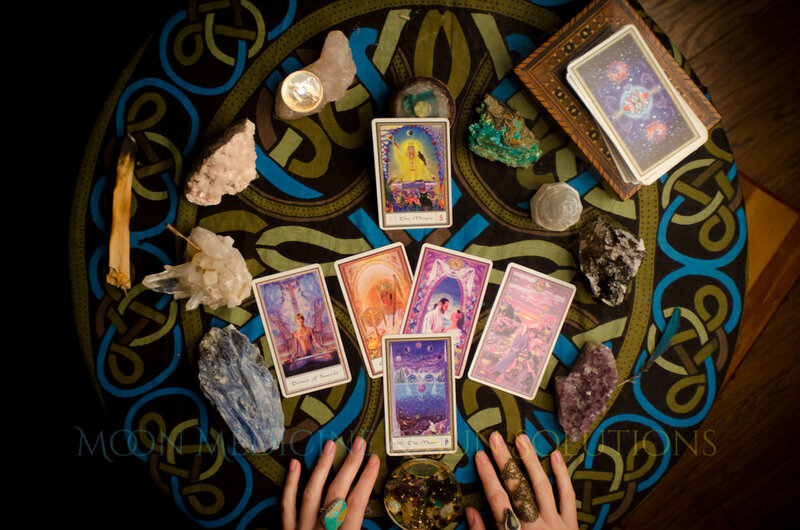 During the session, a tarot spread will be used to provide a map. Intuitive guidance will come in the form of understanding, practical advice, lifestyle insights and recommendations for nutritional supplements, medicinal plants, stones, energy tools - all according to the individual needs of the seeker. We don't just simply lift the veil to the problems of life, we provide the solutions that remind us of the beauty & abundance that is available to us always. By the end of our session you will have a refined clarity with practical solutions to begin resolving the imbalances of your inner and outer worlds. Once your session is purchased, you will receive an email with information on scheduling our video call via Zoom (also available via phone call, or Skype if necessary). With diligence & sincere care on the path of beauty & wisdom, Amber brings her experiences in the tarot, alchemy, massage therapy, natural living, plant medicine, crystal healing & energy work to those seeking wholeness & balance. 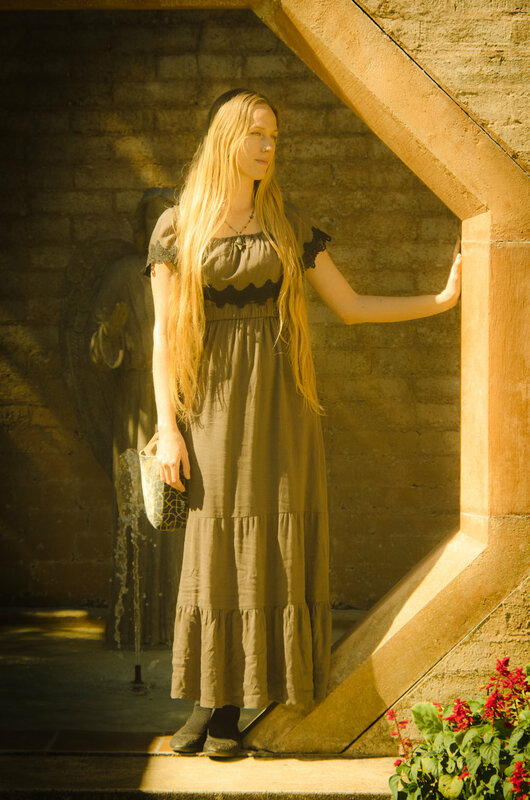 Now, she is offering her unique gifts through one-on-one scheduled video conferencing with her and the Tarot Deck.